Due to large variability of the Mediterranean Diet, each local cuisine is filled with local delicacies that are exclusive to the region. Apart from the standard variations of common plates, local specific delicacies are something that should definitely be tried out. Listed below are some of the most well-known local delicacies, certainly worth trying/tasting. Essentially a mix of grain, crushed wheat, and fermented yoghurt/milk, trahanas is a soup that is very rarely found outside the Mediterranean/middle east region. Local variants make this a delicacy that should definitely be tried. Served during the winter time and usually for dinner, this is a heavy soup that will keep you full for a long time. Try the Cyprus variant which adds halloumi to the soup, making it even tastier. Italian northern regions are famous for incorporating wild boar into their dishes. 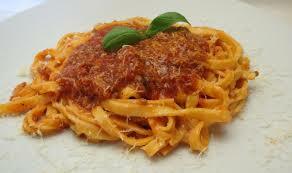 One such dish is Ragu di Cinghiale. Essentially wild boar mincemeat with a wine and tomato sauce, this dish is a festivities special, usually made to utilize the scrap meat from a wild boar. It provides a very nice smoky taste that is not too heavy to consume. A French dish that incorporates a seasoned, floured and sautéd in butter trout served with asparagus or tomatoes, this dish provides a refreshing look at a fish that is preferred in the mountain regions of France. Certain recipes involved adding sautéd almonds or hazelnuts. Essentially what the title says, certain Greek regions and locals in Cyprus, tend to go out in certain times of the year, pick out wild asparagus and fry them with eggs for a side dish to a variety of main dishes. The recipe usually calls for boiling the asparagus with water although certain regions tend to add some white wine to add a more distinct flavor to the dish. Served with a lot of lemon, this dish works as a side dish or as an appetizer to a longer meal. Those who haven’t experienced the sausages made in Cyprus tend to miss a very specific and niche flavour. Although not a Cyprus specific, the wine sausages in Cyprus are an exquisite taste. Essentially prepared with pork and spices and soaked in red wine, these sausages add a completely different spin to what a sausage is. They are either fried or grilled and they usually accompany a meze dish served at restaurants. Although a heavily Middle Eastern dish, Pastourmas is served in areas of Greece and Cyprus. It’s served as a sausage or ham, pastourmas is a heavily spiced meat that is air dried. Usually grilled and with a lot of lemon added, this particular meat is served as an appetizer in Cypriot barbeques. Other varieties of pastourma, mostly Middle Eastern, include pastourma made from beef or camel meat! A local staple in Greek islands and Cyprus, taramas or taramosalata is a creamy pink or white fish roe that is added to potatoes or bread, this particular delicacies acts as an appetiser to dishes that are fish based. Served and consumed with fish meze especially during the fasting period. Stuffed vines leaves are a traditional dish that is served in Greece. 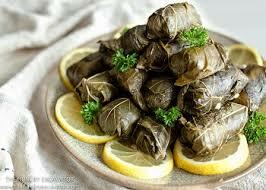 Vine leaves and often other vegetables are stuffed with rice, olive oil and spices. The Cypriot version included mincemeat. This is definitely one of the most well-known delicacies and should be a must to try for any Mediterranean diet enthusiast. This is a dish for those who can stomach it but is definitely a delicacy that is local and should be tried when given the chance. The pasta involved cooking a calf’s intestines after it has been fed mother’s milk. Cooking the intestines with the milk inside results to the milk forming a creamy sort of cheesy sauce that has been cooked with the red meat of the intestines and sometimes other part of the calf. The result is a pasta dish with a smoked and cheesy flavour. Snails are not only enjoyed in France but tend to be a delicacy all across the Mediterranean. Usually boiled and taken out of their shells, the snails are then added to the pourgouri pilaf, (bulgar), which is cooked in a tomato sauce. The dish is slow cooked and the result is a particular taste that is salty and tomato based. Variation to the dish involve serving the snails in the shell and using toothpicks to pick them out, cooking the snails in an olive oil-lemon sauce and also the standard French butter cooked snails. Some regions in Italy tend to eat them raw, served with a side of onion and adding lemon to them to before consumed. A side note that some local delicacies such as songbirds or casu mazu are declared illegal and should be careful if offered. Some are illegal for health reasons and others for sustainable/environmental reasons. There are plenty of delicacies to try without involving in illegal activities. All of the listed above are legal and favourites in the local cuisine. With all these delicacies Mediterranean diet can hardly ever be boring and with new exciting dishes to try all the times, the diet is an exciting way to expand your culinary experience and certainly a healthy way of living. You need to ensure that these delicacies and temptations follow the Mediterranean Diet rules of the Mediterranean Diet pyramid! Let the adventure begin!